Yesterday we look at an ADA-EBD critical summary of a review on maxillomandibular advancement (MMA) surgery. Today we are considering an ADA-EBD summary of a 2009 review of continuous positive airway pressure (CPAP) by Mcdaid et al. The review included 28 randomised controlled trials (1989 patients) comparing CPAP with controls or dental devices. Both subjective and objective outcomes were considered. 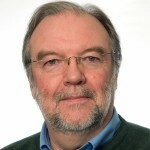 The summariser noted that half of the trials were of cross-over design and there was limited description of washout periods, although not thought to be a major issue. Middle-aged males were overrepresented in all trials so the summariser raised the issue of generalisability. Overall it was considered that this was a good systematic review providing good evidence of the effectiveness of CPAP. CPAP is effective in reducing symptoms of sleepiness and improving quality of life measures in people with moderate and severe obstructive sleep apnoea (OSA). It is more effective than oral appliances in reducing respiratory disturbances in these people but subjective outcomes are more equivocal. 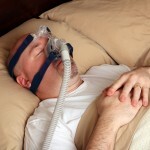 Certain people tend to prefer oral appliances to CPAP where both are effective. This could be because they offer a more convenient way of controlling OSA. Short-term data indicate that CPAP leads to lower blood pressure than control. Long-term data are required for all outcomes in order to determine whether the initial benefits seen in short-term clinical trials persist. McDaid C, Durée KH, Griffin SC, Weatherly HL, Stradling JR, Davies RJ, Sculpher MJ, Westwood ME. A systematic review of continuous positive airway pressure for obstructive sleep apnoea-hypopnoea syndrome. Sleep Med Rev. 2009 Dec;13(6):427-36. doi: 10.1016/j.smrv.2009.02.004. Epub 2009 Apr 10. Review. PubMed PMID: 19362029. Giles TL, Lasserson TJ, Smith B, White J, Wright JJ, Cates CJ. Continuous positive airways pressure for obstructive sleep apnoea in adults. Cochrane Database of Systematic Reviews 2006, Issue 3. Art. No. : CD001106. DOI: 10.1002/14651858.CD001106.pub3.